You're in the right page of you want to seek admission with D7 in English. You will find a series of courses you can study in university with E8 or D7 (generally pass) in English. Some degree awarding institutions accepts D7 or E8 in English for their admissions. This doesn't mean they accept the deficiency in all their courses. The opportunity or waver is meant only for some courses. 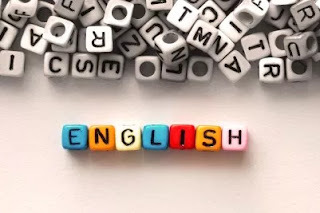 This post will discusses the courses you can do in those universities accepting ordinary pass in English for science courses. Dedicated posts will spoon be updated here for courses you can do with D7 or E8 in English in the class of Social Science and Art courses. Subscribe to the updates your email. Before we proceed, this information is extracted from the official JAMB brochure. Hence, all the details are authentic. IMSU, COOU, UYO and EBSU accept O Level pass in English Language. UNIZIK accepts D7 in English Language. COOU and IMSU may accept O Level pass in English Language. Imo State University (IMSU) accepts O'Level pass in English Language under exceptional circumstances. NOTE: This post will continually be updated. Kindly revisit or subscribe to this blog future additions.